If you haven’t sold on Amazon Japan before, you may be thinking that you have a task of mammoth proportions lying ahead of you. However, this really isn’t the case. We’re going to give you some insider knowledge to demonstrate why selling on Japan is both [relatively] easy and profitable. Unlike other popular Amazon marketplaces, such as the UK or US, when you’re selling on Amazon Japan it’s easier to get your product listing to the top of page rankings. You don’t need mountains of reviews for people to believe you are a reputable seller. As long as your listing is well optimized and your product well researched and desirable to the Japanese market, your listing will rise to the top. There’s no need to use fake reviews and review groups, which is better for both sellers and customers. 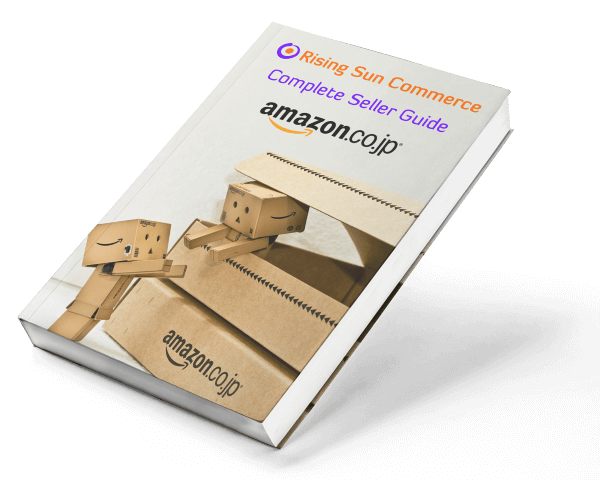 Read an honest overview of how Rising Sun Commerce helped one UK company launch their 1st product on Amazon Japan and get to Best Seller in their main category within a few months. Based on our data, we know that the costs for Amazon’s PPC advertising in Japan are a lot lower than in the UK. Taking the example of our baby car mirrors; in the UK, the average cost for one click of the phrase “baby car mirror” is £1.08. In Japan, it costs us ¥45, which translates to about £0.33. This is a massive difference and though different phrases will result in different prices (for example “car mirror” gives you a cost of £0.94 in the UK and £0.40 (¥56) in Japan you can see prices for PPC advertising in Japan are still cheaper. With Brexit throwing things up in the air, there are indications that your finances will suffer if you choose to invest your time and money into selling overseas; but selling on Amazon Japan diversifies the risk. The favorable exchange rate means that some products are selling for almost double the UK RRP on Amazon Japan. For example, we sell monocles for a UK client on Amazon Japan for ¥4,999, which is roughly £35 at todays exchange rate. The RRP of these is £24.99 in the UK, and on Amazon.co.uk the can sell for just £20. So by selling on Amazon Japan, you’ve got an easy way to access fantastic profit margins (£15 extra in this case per sale). There’s no VAT in Japan. All you’ll need to pay is an 8% consumption tax on import. Paying VAT in the UK is a real hit to profits because on Amazon it is often difficult to pass the 20% VAT on to customers. So in Japan no VAT = big win! There are so many factors that make selling on Amazon Japan a no brainer; not only is it straightforward, it’s also realistic to expect to be profitable from your launch batch of products. No matter what stage you are at please get in touch with us now. Maybe you have some questions, or maybe you are ready to go. Whatever your situation we’re here for you.